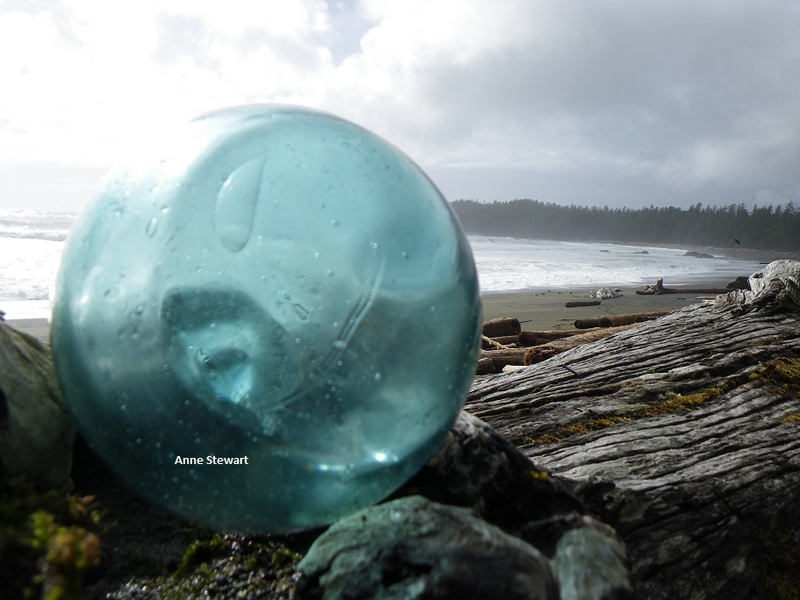 Japanese glass ball on beach near Bamfield, BC, Canada. Far from Brussels, waves roll in from the open Pacific, pounding the shore and filling the warm air with fresh scents that mingle with the green smell of cedar. The winter tide strands flotsam including timbers from a Japanese temple, on the beach and eagles soar aloft, as I sit at the base of a sea stack, reflecting on a recent trip to Brussels. I finish a Belgian chocolate, fortified for writing and begin my blog about the February Galway Implementation meeting and what it could mean for ocean literacy in Canada. I start by making sure that readers know what ocean literacy means and give a little background information for context. In broad strokes, ocean literacy refers to understanding the ocean’s influence on you and your influence on the ocean. Expanding on that, the seven essential principles of ocean science are spelled out below. Ocean Literacy Principle #1 The Earth has one big ocean with many features. Ocean Literacy Principle #2 The ocean and life in the ocean shape the features of Earth. Ocean Literacy Principle #3: The ocean is a major influence on weather and climate. Ocean Literacy Principle #4: The ocean makes the Earth habitable. Ocean Literacy Principle #5: The ocean supports a great diversity of life and ecosystems. Ocean Literacy Principle #6: The ocean and humans are inextricably interconnected. Ocean Literacy Principle #7: The ocean is largely unexplored. The dedicated group of Americans, who coined the phrase, and defined the principles, had thirty marine scientists onboard for the process. Then they went on to collaborate with Science, Technology, Engineering and Math (STEM) educators, to build a K – 12 conceptual frame-work linked to US, Next Generation, National Science Standards and STEM curriculum everywhere. Portugal embraced the principles of ocean literacy almost a decade ago through its own process with Ciência Viva. Now Portugal is ahead of everyone, in adopting and adapting the conceptual science framework, embedding ocean literacy into the school system, moving beyond science and into history, geography, arts and culture and the national consciousness. Canada, the US and the EU are following suit in their own ways, as signatories to the Galway Statement on Atlantic Ocean Cooperation. The impetus from the EU to reach this agreement can be found in their Action Plan for a Maritime Strategy in the Atlantic area and a similar commitment from high levels, including heads of state, is clear. Within the Canadian working group, ocean literacy is included within bullet point number three and the two co-leads for ocean literacy were identified and started to participate in the working group in early winter, 2015. Tom Sephton, Bedford Institute of Oceanography and Anne Stewart, Canadian Network for Ocean Education (CaNOE) are working together as co-leads for ocean literacy. It was as co-lead on ocean literacy, that I was able to attend the Galway Tripartite Implementation meeting in Brussels. It is important to understand that this is a long-term agreement. It is still very early days for the working group and particularly for the ocean literacy leads. Input, information, comments, suggestions and support are fully encouraged. Significant transatlantic ocean literacy activity has gone on since the signing at Galway. Transatlantic ocean literacy (TOL) has been the focus of several international, workshops where ocean literacy was recognized to be important for informed citizenry and leadership beyond curriculum, as well as within the classroom, K – 16. TOL workshops were conducted in Plymouth (2013) and Goteborg (2014), in collaboration with the European Marine Science Educators Association (EMSEA). As a participant in these activities, I can attest that the spirit of intent at these TOL workshops was to foster ocean literacy throughout the transatlantic countries involved, not just those parts or provinces that border the north Atlantic basin. Also emphasized and reiterated were the links with other parts of the global ocean, specifically including Arctic – Atlantic connections which are included in the Statement. The Plymouth TOL workshop produced a report and published a Vision Statement on TOL. Both a TOL workshop report and a TOL implementation plan followed from the Goteborg workshop (I can send these to you if you are interested.). The European Commission was represented and involved throughout this TOL activity. The European Commission continues to support advances in transatlantic ocean literacy through Blue Growth, which is the EU’s long-term strategy for sustainable growth in the marine sector. Blue Growth is recognized, as an economic driver with great potential for innovation and ocean literacy is part and parcel. Investing in Blue Growth, the European Commission, put out several Horizon 2020 calls, for EU-specific proposals to advance ocean literacy. This European investment runs parallel to implementation of the Galway Statement and in my opinion, ups the ante, for multilateral support. We are progressing quickly, taking into consideration the size of the players (EU, US and Canada). The first two Galway implementation, meetings followed the signing; Washington DC in 2013 and Ottawa, late in 2014. The third tripartite meeting, was the February 23, 2015 meeting that I attended. Held in Brussels at the Marine Resources Unit of the Bio-economy Directorate, part of the European Commission (EC) Directorate-General for Research & Innovation, I believe it was the first tripartite meeting to truly embrace the topic of ocean literacy. The morning session was a plenary; hosted by Sigi Gruber, Head of the Marine Resources Unit, our delightful taskmaster for the day. Opening remarks by John Bell (EC, Research and Innovation), Terry Schaefer (USA, NOAA) and Trevor Swerdfager, (Canada, Deputy Minister of Fisheries and Oceans – Science) set a very comfortable tone for the day, while reviewing accomplishments. Ocean literacy bubbled through comments, adding zest to remarks on jobs, economy, innovation, environment, exploration and research. These gentlemen clarified that we were all there to advance the realization of the Galway Statement. A tour of the table and introductions followed with many participants engaged in the other two topics; Seabed Mapping and Aquaculture. Updates on follow-up activities to the Galway Statement came next and I concentrated on the ocean literacy presentation by Gaelle LeBouler (EC), filling in for Paula Keener, (NOAA) who was grounded by a blizzard in the US. Gaelle spoke of the relative “newness” of ocean literacy and need to better structure transatlantic ocean literacy. Gaelle noted the need to develop strategies to boost ocean literacy on both sides of the Atlantic and briefed the group on the 2014 TOL workshop and its consensus to adopt the seven principles of ocean literacy while adapting/adopting the conceptual framework. Gaelle brought us up to date on the Blue Growth calls; BG-13, BG-14, the proposal responses and current status. Nine of the 12 BG-13 proposals submitted had Canadian and US participation and two of these are to be funded for several million Euros to start in spring 2015. It should be noted that Canadians and Americans are not eligible for this funding. The proposal under discussion for BG14 – Coordination and Support Action (CSA) to Support the Atlantic Ocean Research Alliance, also included a work package dedicated to ocean literacy. These three ‘winning’ proposals are in the process of working out agreements, in transition from the proposal stage to projects to be launched mid-April. Representatives of the three proposals presented briefly to the whole group. Peter Hefferen of the Marine Institute presented on the BG-14, AORAC-SA proposal mentioning partners including ICES, PLOCAN, IFREMER, IMR, Spain and Ciência Viva. He explained that they would be working on governance, coordination and communication, including research priorities, expert workshops, knowledge sharing and shared access to infrastructure. Peter noted that they would be supporting and coordinating with the efforts of the two BG-13 groups and that they would be uniting around the common theme of working hard to meet the Galway agreement. Fiona Crouch of the MBA presented on the Sea Change proposal, remarking that this consortium of 17 applicants encompasses multiple European/International organizations and multi-disciplinary partners, including diverse expertise in ocean literacy, marine science education, social innovation and behavioural change. Focus on the interdependence of human well-being and ocean health would be addressed through education, engagement and governance. The over-arching goal would be to bring about fundamental change in the way European citizens see themselves in relation to the ocean and to empower them to act sustainably towards healthy seas. A baseline review of good ocean literacy practices and current marine education programs, will lead into communication and education campaigns, possibly incorporating citizen science. There are plans for a legacy component. Fiona reported that Sea Change would work closely with both ResponSEAble and AORAC-SA and looks forward to needed, coordination of efforts. Denis Bailey of the University of Brest, presented on the ResponSEAble proposal, which has 15 partners, a mix of large research groups, NGOs and enterprise. This group would map links between society and benefits of the sea as well as society’s influence on the sea. They would use social science to see what works in a cost-efficient way and broaden the scope for identified topics to produce ocean literacy products and good communication that is tested in a live-laboratory. Time for discussion was made after the seabed mapping and aquaculture presentations and before the breakout sessions. Several remarks touched on the broad importance of ocean literacy. Joao Ribeiro, Portugal, commented on specifically on the importance of engaging youngsters, the career and employment links and the need for the Atlantic Action Plan to be in day to day thinking. The following point-form notes touch on some of the discussion points and I apologize for not being able to attribute individual speakers, difficult to identify from where I sat. Joint Program Initiative (JPI) on Healthy and Productive Seas and Oceans JPI Oceans conference May 7, with ecological impacts of deep-sea mining and micro-plastics on agenda. Partnership for Global Observation (POGO) European Optical Society (EOS) meeting on optics in the sea, May 12/13. European Marine Board is planning a brainstorming workshop, to bring together science communicators and oceanographers to make recommendations. Germany holds the G7 leadership this year and topic of marine litter is on agenda. JPI Oceans already engaged in ocean plastics, a lot going on. At this juncture and mention of food, it was time to move. The ocean literacy break-out group moved by foot and metro to a different location. It was all very efficient. We ate lunch en route at an EC cafeteria and were soon seated around a smaller table, joined via videoconference by Paula Keener, NOAA, Peter Tuddenham, College of Co-exploration and my co-lead on ocean literacy Tom Sephton, Fisheries and Oceans Canada. The topic-specific, break-out group gave the opportunity to learn more about the specific proposals’ work plans, the nitty-gritty of their rationales and some of the other activities going on. I include point-form notes. Dissemination & Communication in coordination with ResponSEAble. This public awareness campaign will include these aspects. Next was a presentation on the EU Atlas of the Seas, and again I include my point-form notes. Advanced mode for professional user, a lot of data, energy, transport, marine protected areas, etc. How can this tool contribute to OL efforts? Ward Appletons of UNESCO and the International Oceanographic Council (IOC) presented next on some of their many OL activities. Academic, professional development, sharing, OL community of practice, guidelines for public information. Ocean climate platform, UNESCO on campus, Surfrider etc. Some of the discussion that followed is encapsulated here. There is lots going on in ocean literacy internationally. There is a need to operationalize and come up with tangibles. Identified that goodwill is needed, for everyone, to reach out to their contacts and be willing to share. It was also reiterated that defined, specific, and common goals would be part of major projects. Fiona noted that they are still open to ideas, for the public campaign that you want to see. There was a brief discussion about the extent of Ocean Literacy: whether it should be global, since it is really one ocean, or transatlantic only? Then, if transatlantic only, should it be north basin only or should it include southern Atlantic? It was noted that there is serious and tangible Brazilian and South African interest in cooperation. There seemed to be consensus to start with a basin approach (the north-Atlantic with Arctic connections) as a good way to move forward toward global OL and to best reflect the Galway Statement. One topic that had a short and very positive discussion was the Endorsement and/or Adoption of Ocean Literacy Principles in Europe. Sigi suggested using the seven principles as a way to move together successfully. There was total agreement. Under the topic of Seabed Mapping & Ocean Literacy, Paula (NOAA) suggested using concept mapping to help map out the diverse contributions to transatlantic ocean literacy that participants bring to the table. She suggested this as a way to help understand and fit the complex pieces together. This was well received, especially by those familiar with the Concept Linked Integrated Media Builder (CLIMB) used by Center for Ocean Science Education Excellence (COSEE) at the University of Maine. This concept-mapping tool is effectively used to make sense of complex ocean systems and ocean learning complexity. The group ran out of time for comment on the last topic entitled Contribution of Stakeholder’s Roadmap and we made our way back to the larger, group wrap-up session, to report back. The whirlwind of a meeting was over and I headed out into nighttime Brussels in search of chocolate. As I walked the cobblestone streets, between the neoclassical facades, and gothic gargoyles, antique architecture dominated the scene. I reflected on the day, the people, and their mix of interests, yet common will, to implement the Galway agreement. This international movement bodes well for ocean literacy in Canada. We are committed from the highest level nationally, the Canadian Galway Marine Working Group has ocean literacy on its agenda and the two co-chairs are working together to further ocean literacy in Canada. CaNOE has been well launched and with over 200 members is gaining momentum. It actually feels a bit like we are shooting the rapids and heading for the sea. Unabashed, promotional addendum to meeting notes. The table is set for Canada to collaborate internationally on ocean literacy. To get our own house in order, an increase in coordination and communication would further good practices and allow celebration of on-going efforts, while we advance to the next stage. 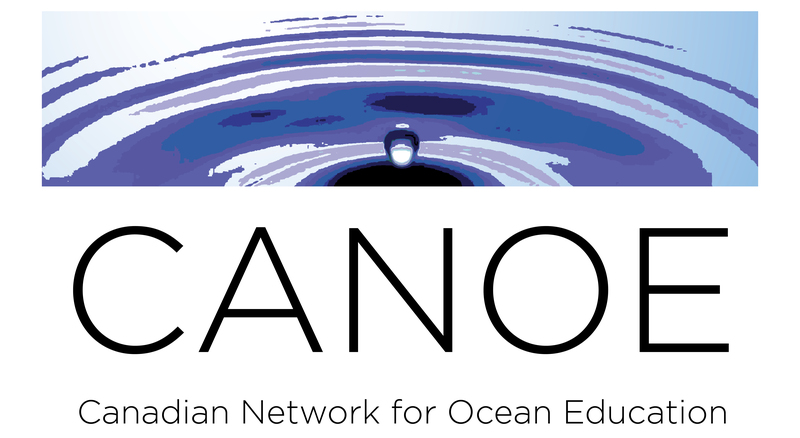 The Canadian Network for Ocean Education CaNOE provides a pan-Canadian platform with momentum. CaNOE hosts the first conference on Ocean Literacy in Canada, June 17 & 18 in Vancouver, BC and you are all invited. The results of an initial survey of Canadian scientists on the seven principles of ocean science literacy will be presented then. The anticipated adoption of the principles by Canadian scientists will provide a Canadian foundation for common OL messaging. The simple survey takes < five minutes, total. If you belong to a Canadian marine or aquatic science association that would be willing to be surveyed, please let me know. More francophone participation in CaNOE, en français, is also needed. CaNOE is having an election of a new board at the June 17 AGM and we are recruiting now for the new board now to pull together for ocean literacy in Canada. Suggestions welcomed. Categories: Blue Economy, Blue Growth, Galway Statement on Atlantic Ocean Cooperation, Ocean Literacy, Uncategorized | Tags: Adoption of ocean literacy principles, Blue Growth, Canadian Network for Ocean Education, CaNOE, EMSEA, EU Action Plan for a Maritime Strategy, European Commission, European Marine Science Educators Association, Fisheries and Oceans Canada, Galway Statement on Atlantic Cooperation, Horizon 2020 BG 2013- 2014, Marine Biological Association (UK), Marine Resources Unit of the Bio-economy Directorate, MBA, National Marine Educators Association, NMEA, NOAA, ocean literacy, ocean literacy framework, oceanliteracy.ca, Portugal, principles of ocean literacy, Trans-Atlantic Ocean Literacy, Transatlantic ocean literacy | Permalink. This is a blog about the Trans-Atlantic Ocean Literacy (TOL) Workshop, held at the University of Gothenburg, September 30, 2014. The views here are my own, not the official report. In this blog you will find some of the back-story and context of the TOL workshop, including information on the organizations and individuals involved. This approach helps in understanding the complexities and challenges of advancing meaningful and substantive ocean literacy across the Atlantic and around the world. I am grateful to the TOL Workshop organizing committee listed here. This team, joined by presenters and facilitators accomplished a great deal in this a one-day, decision-making workshop. I was caught off guard by how fast the time flew, during this tightly packed and well orchestrated day. Ireland, May 2013 with the signing of the Galway Statement on Atlantic Ocean Cooperation by Canada, USA and EU. Plymouth, UK in September, 2013, at the first TOL workshop and second EMSEA conference. Annapolis, US in July 2014 at the National Marine Educators Association (NMEA) conference and their International Committee’s pre-conference workshop on Ocean Literacy. Preparation, dialogue, reflection and decision-making about the adoption and implementation of the Ocean Literacy Framework, (the focus of three workshops at EMSEA13 in Plymouth). Identifying priority actions to increase transatlantic ocean literacy. We started with a round of delegate introductions. This international group of 27 participants came from 11 EU countries, plus the United States, Canada and for the first time, Brazil. There were also a few Americans attending through Skype. Before I dive into the workshop contents, I want to introduce you (with some help from their web-sites) to a few of the attendees and the organizations they represent, to help put their important contributions into context. Francesca brought several important high-level, international events to our attention including IOC-UNESCO’s 2nd International Ocean Research Conference, One Planet One Ocean (IORC), Barcelona (ES) and the Marine Session at UNESCO’s World Conference on Education for Sustainable Development, Aichi-Nagoya. She felt that these would be valuable venues to advance ocean literacy within already receptive and capable communities. Gaelle brought the group up to speed on ‘la guerre de la mer’, and Blue Growth working groups. There are six teams that are up and running, including the marine working group, arctic, scientific, engineering, etc.. There is trilateral representation on the steering committee Paula Keener (NOAA), Gaelle (EU) and Fisheries & Oceans (Canada). She noted that work with Canada was less advanced and did not know who was the Canadian representative. Gaelle also talked about Horizon 2020 calls for proposals and reminded us of the upcoming late November announcement date for the competition for Blue Growth: Unlocking the potential of Seas and Oceans, BG-13-2014, Topic: Ocean literacy – Engaging with society – Social Innovation. Ana Noronha was there from Portugal’s National Agency for Culture, Science and Technology, the Ciencia Viva, Conhecer os Oceanos (Knowing the Ocean) project and remarked on the successful route her country has followed. Portugal is a European leader in adopting the seven essential principles of ocean science and is years ahead of everyone in adapting the concepts of the Ocean Literacy Framework to the Portuguese reality. They have taken a consultative approach in collaboration with their research institutes of Marine Sciences and Education. The last few years have seen an expansion beyond marinating science curriculum to including history and geography and they are now moving on to art and culture to ensure that the ocean is at the heart of Portuguese cognizance. Portugal is a nation to look up to, for successful, efficient strategies in advancing ocean literacy. In my view, the Americans are the parents of Ocean Literacy, including the well-represented adoptive parents, the National Marine Educators Association (NMEA) (Diana Payne, Susan Haynes, Meghan Merrero, Adam Frederick) and the god-parents Peter Tuddenham and Tina Bishop, (College of Exploration). There is much we can learn from the American experience and looking at the role of one individual may seem frivolous but certainly helped me understand the complexity of layers and the calibre of webs at the individual level. Gail Scowcroft stood out in the American crowd, because of the passion and persuasiveness of what she had to say and the depth and breadth of her knowledge and commitment to ocean literacy. With further research I found out why. Gail is faculty at University of Rhode Island (URI) School for Graduate School for Oceanographic Studies, a Senior Fellow at the Coastal Institute and founder of the National Science Foundation funded Coordination Office for the Climate Change Education Partnership Alliance. She is also the Executive Director of the American Centers for Ocean Science Education Excellence (COSEE), which under Gail’s leadership COSEE is transforming from a National Science Foundation network to an independent and international consortium. Gail does all of this from the URI Office of Marine Programs where she is also the Associate Director of the Inner Space Center (ISC). I know it is a bit of a tangent from the workshop but lets just look at the tip of this one iceberg – ISC. Matt Rockall and I were the only Canadian participants and represented the Canadian Network for Ocean Education (CaNOE). CaNOE is a coast to coast, to coast, pan-Canadian network that is working to advance ocean literacy in Canada and abroad. I was completely humbled by the workshop participants and was honoured to be a part of it. Most amazingly, not only were they ocean literacy superheroes, they were also warm, funny and very approachable. I also guessed that for each name on the list of participants there is an amazing back-story that would fill many blogs. I will resist that urge and get on with the workshop. John Parr (UK) of the Marine Biological Association (MBA) presented the results of previous TOL meetings including the published Vision Statement and his colleague Fiona Crouch (MBA/EMSEA) and UK American Peter Tuddenham presented an overview of recent and up-coming TOL activities. Ana Noronha and Evy Copejans facilitated the first workshop component on adapting and implementing the US Ocean Literacy Framework, by presenting national case studies from Portugal and Belgium. This was followed by discussion, reflection and a vote. In her presentation, Ana asked why the ocean is so important to Portugal and answered that “Portugal is more ocean than land, the ocean is at our heart and also is our future”. Portugal benefitted by adopting and adapting the Ocean Literacy Framework early and managing the project of adoption and adaptation, with clarity and purpose. The first step was consultation with Portuguese ocean scientists. The second piece was science education, seen as a platform between scientists, communicators, educators and the general public. Research revealed that the ocean was scattered around the curricula and sometimes missed: so working with experts, they did science education, and then moved on to history and geography education consultations. They wove the ocean into curriculum, did posters and mapping of the curriculum, teacher training, and set up a web-page with information and all the resources created since 2003, classified according to the seven principles. These successes included engagement at all levels of Portuguese society from media coverage of high-level politicians engaging and promoting ocean literacy to the empowerment of teachers and working at the community level. Using a project management approach, they made it their own, moved it forward and have considerably advanced ocean literacy in Portugal, providing a shining example of what can be done where there is a will. Evy is the Senior Science Officer in the Communications Division, at the Flanders Marine Institute (VLIZ). The VLIZ mission has “evolved into the central coordination and information platform for marine and coastal scientific research in Flanders. As a partner in various projects and networks VLIZ also promotes and supports the international image of Flemish marine scientific research and international marine education.” Evy and her colleagues Eggermont, Hoeberigs and Seys found Belgian geography and biology students learn most about the sea outside of school. There are some well-known, isolated facts but survey results indicated poor knowledge concerning oceans and seas with average scores of 52%. Evy made the point that the ocean is really integral to science literacy and one cannot be science literate without being ocean literate. As in many countries, making curricular changes is a challenging, long-term goal and lobby power is needed for changes at that level. In the meantime they are trying to help fill the gaps. It is often too rough and cold to go out to sea in the North Sea, so the Flemish strategy has been to bring the ocean to classes by marinating the curriculum, creating teacher’s resources and creating booklets for teachers on topics already covered in class e.g. physics – waves; chemistry – ocean pH changes; biology – photosynthesis. Evy emphasized that effective, educational transformation requires motivated teachers, and she sees that investing in teachers is really important. VLIZ is working with the Flemish Science Teacher Association and they have invited curriculum developers, to Bruges, to work on topics such as the evolution of whales, chemosynthesis, enzyme labs, ocean ecology, sustainable issues regarding ocean plastic pollution etc. In Belgium, there is a pragmatic viewpoint regarding adoption of the seven principles: why reinvent the world? Adopt and move on to the next level of the framework, the concepts. There are still some cultural issues to over-come conceptually, for example, Belgium does not have the culture of exploration but can reframe it into an approach of discovery. In the Belgian education system, there is a strong distinction between geography, biology, physics and chemistry so those need to be reflected in the concepts. A big working group was suggested in order to put curricular details into concepts, with large input from teachers. Evy’s take home message in terms of transforming the public education system into a more ocean literate science education approach, was that personal contact with curriculum developers and teachers is crucial. Identify people and invite them to be part of the process, take them out on a ship, and let them hear from scientists and educators from around the world. Do a conference together with the science teachers. Get their opinions on the resources. Work with universities and colleges that prepare teachers. Evy chaired the discussion that followed on adoption of the US Ocean Literacy Framework. Many voices echoed that adoption of the principals and adaptation of the concepts was the way to go. There are hurdles everywhere due to the process of science curriculum development. For example in British Columbia, Canada the K – 9 science curriculum has just been revised to focus on “big ideas” and the big ideas don’t include the big ocean but will make it more possible for individual teachers, schools and school districts adopt ocean literacy. The “big ideas” approach to science curriculum revision is also sweeping Europe. Luc Zwartes, Belgian educator and workshop participant, commented, that as Belgian science curriculum is rethought, the big ideas of ocean and seas need to be fundamental. It was noted that in Belgium, teachers need both a European platform and a proper translation. “Ocean geletterheid” just doesn’t have traction. Interestingly, translation of the word literacy into an appropriate word is a broader issue. A direct translation didn’t work in either case study and it is also an issue in French. Some favour just using the English word. As noted above, the Portuguese used the word ‘knowing’ which seems to be working well. The vote that followed on the adoption of the seven essential principals of ocean literacy, for ocean sciences education, resulted in a resounding and unanimous YES from all attendees. After lunch we rolled up our sleeves, divided into two groups, did two breakout sessions, reported back and then had a full group discussion of priority actions to increase trans-Atlantic ocean literacy. The objectives were to empower the collective vision for trans-Atlantic ocean literacy, identify a set of priority actions to achieve the vision and identify transnational complementarities on the theme of ocean literacy. Jans Seys (Belgium), Diana Payne (US), Ivo Grigorov (Denmark) and Susan Haynes (US) chaired and facilitated these whirlwind activities. It worked well because of the great people involved and because it built on the conversations that had been evolving for years. What came out of this head-spinning exercise is elegantly and succinctly outlined in the TOL Workshop report and the TOL Strategy and Implementation Plan which came out of the workshop and which will soon be posted on http://oceanliteracy.wp2.coexploration.org/transatlantic-ocean-literacy/ . To sum up, short, medium and long-term priority actions were identified that advance the three objectives in the TOL Vision Statement listed below. Vision Statement, Objective 1 Encourage cooperation and best practice exchange between Marine Educators Associations and all interested actors from both sides of the Atlantic, and seek to promote and apply ocean literacy globally. Vision Statement, Objective 2: Raise awareness of the two-way interactions between the Atlantic Ocean and daily life, and empower citizens to adapt their everyday behaviour. Vision Statement, Objective 3: Seek and apply innovative ways to make the future citizens ocean-literate citizens, so that they understand environmental challenges and policies, and make informed and responsible decisions on ocean stewardship. Short-term, the conversation will continue to evolve through an inclusive on-line forum, including identified key players and cascading networks. A Global Ocean Literacy Guide will be developed, translated and disseminated. Collaborative activities will be organized for World Ocean Day, Global Ocean Literacy Day, and other existing initiatives. Large-scale events as were identified will be used as platforms to promote ocean literacy globally. Medium and long-term plans are outlined in the workshop report and will also continue to develop throughout the year with another boost at the 2015 NMEA conference and ocean literacy workshop in Rhode Island, the 2015 TOL workshop and EMSEA conference in Greece and the 2015 CaNOE Conference in Vancouver, Canada. I had been asked to comment during the conclusion of the workshop with reflections on the importance the TOL workshop from a Canadian point of view. The highlight for me was the unanimous and enthusiastic yes vote, to adopt the seven principals of Ocean Literacy. Having consensus on the basic principles for science education will help unify communications and enable a more focused international campaign. Local, national, and international adoption and subsequent adaptation of concepts, specific to different regions, curricula and languages, will greatly assist in building comparable frameworks to help promote an active and successful transatlantic ocean literacy network. A diversity of language, culture, and regional geography/oceanography. The first principle of ocean literacy is that there is one ocean, which makes attaining ocean literacy daunting in the face of the physical size of the ocean. The scale and scope of the ocean and societal challenges in implementing ocean literacy nationally and internationally are huge. The Galway Statement signed by the EU, US and Canada includes one bullet point on ocean literacy and it simplifies the more global task by focusing in on the North Atlantic basin (and its arctic interactions). This reduces Canada’s challenges, to a shorter shoreline, only five provinces, two languages, fewer indigenous nations and foundation that has already been built through a long history of trade and cooperation with Europe and the United States. As CaNOE works to advance ocean literacy in Canada from coast to coast to coast, I have confidence that TOL will provide an international model for cooperation and collaboration, which will ultimately set the course towards global ocean literacy. I came away from TOL more motivated and more determined to help further ocean literacy in Canada. The organizers, facilitators, participants, methods and achievements of the workshop were all inspiring. Back at home I am helping to build the Canadian Network for Ocean Education (CaNOE), increasing membership, making sure that scientists are onboard and helping organize the first conference and AGM (in conjunction with MEOPAR Annual Science Meeting) in Vancouver, June 17, 18, 2015. Please join us. Over the next three years I hope to be involved as an international adviser on ocean literacy, working with some of the people attending TOL workshops and EMSEA conferences. I have also joined the Galway Canadian Marine Working Group as co-lead on ocean literacy. I will report back on this activity in blogs throughout the year. All the best to you, your family and friends in 2015. The following will help link to organizations and websites mentioned in the blog. Categories: marine science education, Ocean Literacy | Tags: Adoption of ocean literacy principles, Canadian Network for Ocean Education, CaNOE, cienciaviva, European Marine Science Educators Association, Galway Statement on Atlantic Cooperation, Horizon 2020 BG 2013- 2014, marinate sience curriculum with marine science, National Marine Educators Association, NMEA, ocean literacy framework, principles of ocean literacy, TOL Strategic Implementation Plan, Trans-Atlantic Ocean Literacy, Transatlantic ocean literacy | Permalink.